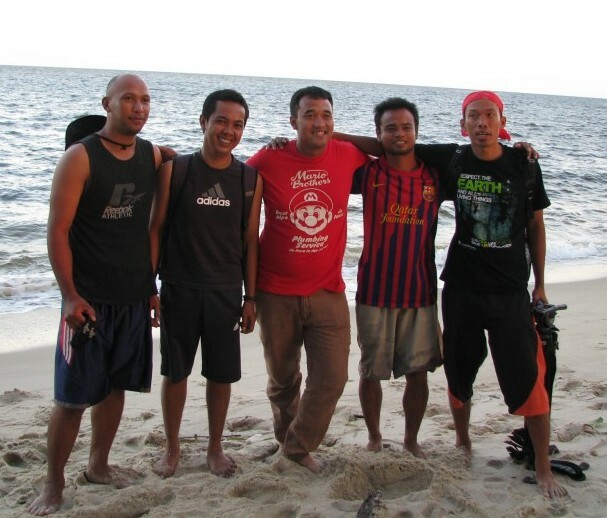 Petandang--Traveler: Tanjung Puting Trip: Meet The Guides! Tanjung Puting Trip: Meet The Guides! Visiting a national park isn't just like a walk in the park. It may sound like I'm stating the obvious, but after visiting Tanjung Puting National Park, I noticed many people acted like it were. The presence of signs stating the obvious "don'ts", like the one on the left, also confirms it. But aside from telling us what to do or not to do, what a guide does mainly is letting us know a glimpse of the bigger picture; making our traveling experience richer. For instance, simply seeing an orangutan feeding site without any further information may not give you more insights than visiting a zoo. But an insightful guide can tell you that orangutans are solitary creatures. Which is why they take turns in taking the fruits from the feeding site. And they do it cautiously. Usually they put as many fruits as they can into their mouths, and climb away. After getting to safety, they finally eat it one by one. And that's but a tiny part. A helpful guide can be a well of insights to satisfy your curiosity. 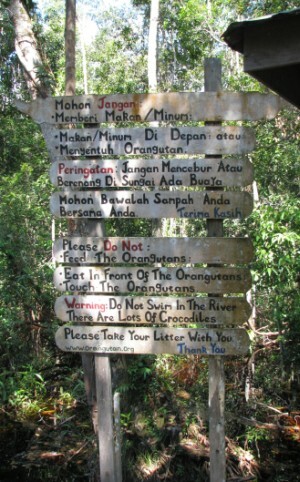 During our Tanjung Puting Trip, our group was fortunate to travel along with five of these guides. Four of them are shown in the picture below. Can you guess which one isn't a guide? From left to right: Yomie, Miki, Vicky (the Not-a-Guide Guy), Ancis Banderas (his "stage" name), and Yusup (yes, with a "p"). Yomie is the current chief of the local guide association. Yusup's the vice-chief and Miki's the secretary. Talk about show of force. There was also Dede, a guide-in-training, who was designated as The Camera Guy, and therefore seldom appeared in photo sessions like above. Many of the stories we're going to share originate from them. And we owe them a bunch of warm thank-yous for the lovely memories we're going to recreate on this blog.